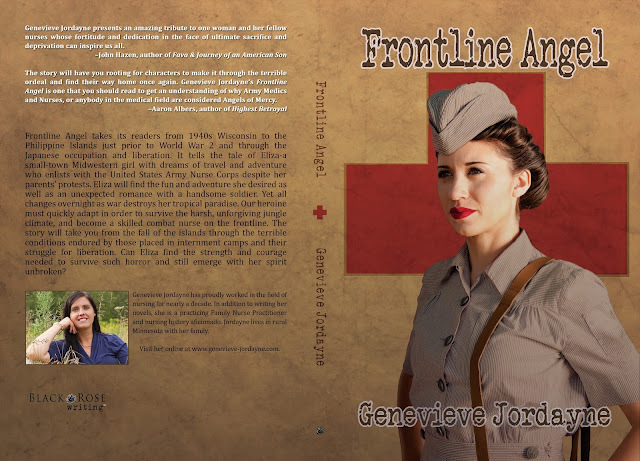 Historical Romance 'Frontline Angel' by Genevieve Jordayne, is Available NOW!! Frontline Angel takes its readers from 1940s Wisconsin to the Philippine Islands just prior to World War 2 and through the Japanese occupation and liberation. 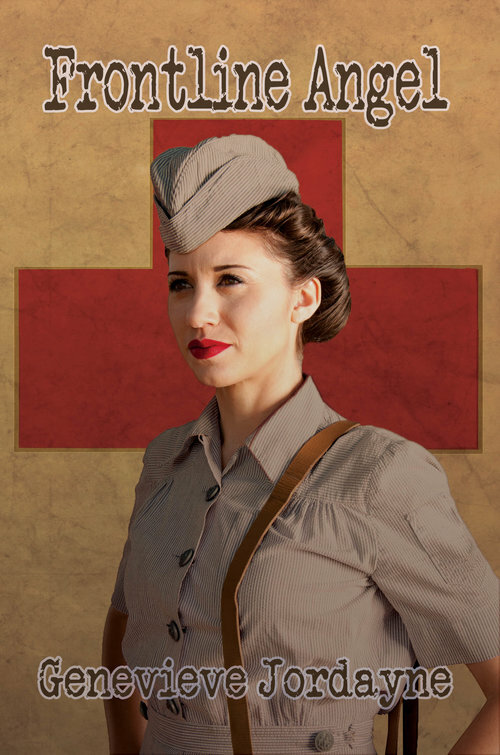 It tells the tale of Eliza-a small-town Midwestern girl with dreams of travel and adventure who enlists with the United States Army Nurse Corps despite her parentsâ protests. 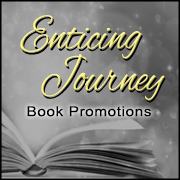 Eliza will find the fun and adventure she desired as well as an unexpected romance with a handsome soldier. Yet all changes overnight as war destroys her tropical paradise. Our heroine must quickly adapt in order to survive the harsh, unforgiving jungle climate, and become a skilled combat nurse on the frontline. The story will take you from the fall of the islands through the terrible conditions endured by those placed in internment camps and their struggle for liberation. Can Eliza find the strength and courage needed to survive such horror and still emerge with her spirit unbroken? It was a short, restless sleep for Eliza. When she awoke, she quickly freshened up and ran to the hospital to find out if there was any news. She was informed that their worst nightmares were now reality: The Japanese had arrived to destroy her paradise. That morning, the first bombs had fallen at Camp John Hay near Baguio, the town where Eliza and Reese had shared their romantic weekend together. Baguio was a perfect target because it was the most important military and commercial center in Northern Luzon. The Japanese bombers then arrived at the main base of the Army Air Corps in the Western Pacific, Clark Air Field, and Fort Stotsenberg. In some sort of failed communication, the Americans had been grossly unprepared and were caught completely unaware. Most were enjoying lunch when the Japanese were able to arrive undetected and launch a deadly and destructive attack. Scores of American fighter and bomber aircrafts were lined up wingtip to wingtip. The planes were fully armed but completely unmanned. Bomb after bomb was dropped. Some of the soldiers tried to make it to their planes. Others were shooting at the Japanese aircraft with old, antiquated firearms that were useless against the skilled, sleek attacker. In the end there were only seven planes that had not been destroyed. The once beautiful area was a burning mess of mangled, twisted aircraft. Eliza and the other nurses at Sternberg Hospital couldnât believe the horror stories flooding in. People began to speculate about whether Manila would be attacked as well. Of course, some had tried to reassure that the capital would be safe although no one seemed to be very confident in their assurances. Shortly thereafter, a messenger came in and said that an invasion force under the command of General Masaharu Homma had been spotted and they were planning to launch a ground attack. The entire group was issued helmets and gas masks, as the Japanese were known for using a variety of poison gases in combat. Eliza was handed a pamphlet to accompany her gas mask that detailed ways to detect poisonous gasses and how to care for patients exposed to them. The group of nurses was told that a decontamination area was being set up in one of the wards. Elizaâs eyes widened at the thought of poison mustard gas. If it werenât so very real she would almost laugh at the expectation to learn how to detect these gasses and care for exposed patients from a simple brochure. I guess this is war now; time to think on the fly. An hour or so later, a young Filipino boy approached Eliza with a note that informed her that Reese and Jimmy were going to be transported to Clark Air Field along with several other soldiers. They were headed straight into the war zone! Eliza stared at the words on the note and looked down at the strange contraption in her hands, feeling the cold stab of fear go through her. Is this really happening? That afternoon, the entire group of 35 doctors and 37 nurses stationed at Sternberg Hospital were called to meet with their commanding officers. They were informed that the attack at Fort Stotsenberg had been a complete disaster for the Americans. In the wake of the attack, there were dead and wounded soldiers and civilians everywhere. The medical staff at Fort Stotsenberg was so overwhelmed they had put in an urgent call to Sternberg to send help. knew there were scores of people needing help, too many for the doctors and nurses to care for without reinforcements. She could be closer to Reese in Stotsenberg than she would staying in Manila. Eliza knew what she had to do. She raised her hand to volunteer with much more gusto than she was actually feeling. The next thing she knew she was packing up her helmet and gas mask and shuttled into the group of soldiers waiting for their transportation. She was able to find Reese and Jimmy and together they walked up the steps of the bus that was going to take them to war. 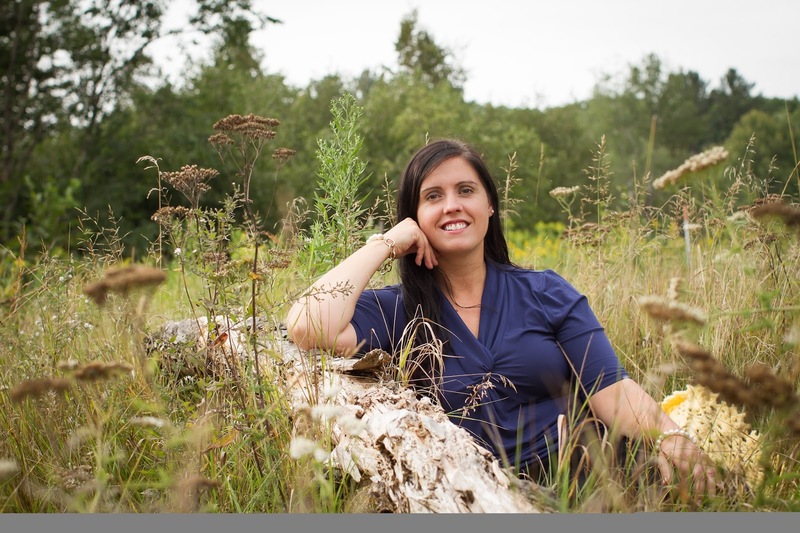 Genevieve Jordayne has proudly worked in the field of nursing for nearly a decade. In addition to writing her novels, she is a practicing Family Nurse Practitioner and nursing history aficionado. Genevieve lives in rural Minnesota with her husband, three little boys, and two rambunctious boxers. Jordayne is currently working on her second novel.